Catheter ablation of ventricular tachycardia (VT) has become a standard therapeutic method both in patients with idiopathic VT and VT associated with structural heart disease. With the advent of novel technologies such as electroanatomical mapping, image integration, intracardiac echocardiography, and/or irrigated tip ablation catheter with or without contact force assessment, VT ablation procedure can be performed safely and efficiently. This paper reviews state-of-the-art techniques and strategies used in catheter ablation of ventricular arrhythmias. 2. Hoffmayer K.S., Gerstenfeld E.P Diagnosis and management of idiopathic ventricular tachycardia // Curr. Probl. Cardiol. - 2013. - Vol. 38. - P. 131-158. 3. Prystowsky E.N., Padanilam B.J., Joshi S., Fogel R.I. Ventricular arrhythmias in the absence of structural heart disease // J. Am. Coll. Cardiol. - 2012. - Vol. 59. - P. 1733-1744. 4. Yamada T., Kay G.N. Optimal ablation strategies for different types of ventricular tachycardias // Nat. Rev. Cardiol. - 2012. -Vol. 9. - P. 512-525. 5. Schreiber D., Kottkamp H. Ablation of idiopathic ventricular tachycardia // Curr. Cardiol. Rep. - 2010. - Vol. 12. - P. 382-388. 6. Kautzner J., Peichl P. 3D and 4D echo-applications in EP laboratory procedures // J. Interv. Card. Electrophysiol. - 2008. - Vol. 22. - P. 139-144. 7. Nogami A. Purkinje-related arrhythmias part I: monomorphic ventricular tachycardias // Pacing Clin. Electrophysiol. - 2011. - Vol. 34. - P. 624-650. 8. Ramprakash B., Jaishankar S., Rao H.B., Narasimhan C. Catheter ablation of fascicular ventricular tachycardia // Indian Pacing Electrophysiol. J. - 2008. - Vol. 8. - P. 193-202. 9. Hanssaguerre M., Shah D.C., Jais P. et al. Role of Purkinje conducting system in triggering of idiopathic ventricular fibrillation // Lancet. - 2002. - Vol. 359. - P. 677-678. 10. Kleissner M., Peichl P., Kautzner J. Idiopathic ventricular fibrillation triggered by two distinct foci // Europace. - 2014. -Vol. 16. - P. 1459. 11. Sadek M.M., Benhayon D., Sureddi R. et al. Idiopathic ventricular arrhythmias originating from the moderator band: Electrocardiographic characteristics and treatment by catheter ablation // Heart Rhythm. - 2015. - Vol. 12. - P. 67-75. 12. Marchlinski F.E., Callans D.J., Gottlieb C.D. et al. Linear ablation lesions for control of unmappable ventricular tachycardia in patients with ischemic and nonischemic cardiomyopathy // Circulation. - 2000. - Vol. 101. - P. 1288-1296. 13. Kautzner J., Cihak R., Peichl P. et al. Catheter ablation of ventricular tachycardia following myocardial infarction using three-dimensional electroanatomical mapping // Pacing Clin. Electrophysiol. - 2003. - Vol. 26(1 Pt. 2). - P. 342-347. 14. Jais P., Maury P., Khairy P. et al. Elimination of local abnormal ventricular activities: a new end point for substrate modification in patients with scar-related ventricular tachycardia // Circulation. - 2012. - Vol. 125. - P. 2184-2196. 15. De Chillou C., Groben L., Magnin-Poull I. et al. Localizing the critical isthmus of postinfarct ventricular tachycardia: the value of pace-mapping during sinus rhythm // Heart Rhythm. - 2014. - Vol. 11. - P. 175-181. 16. De Chillou C., Magnin-Poull I., Andronache M. et al. Showing up channels for postinfarct ventricular tachycardia ablation // Pacing Clin. Electrophysiol. - 2012. - Vol. 35. - P. 897-904. 17. Hussein A., Jimenez A., Ahmad G. et al. Assessment of ventricular tachycardia scar substrate by intracardiac echocardiography // Pacing Clin. Electrophysiol. - 2014. - Vol. 37. - P. 412-421. 18. Grieco D., Peichl P., Cihak R., Kautzner J. Successful ablation of ventricular tachycardia after correction of tetralogy of Fallot // Herzschrittmacherther Elektrophysiol. - 2014. - Vol. 25. -P. 116-120. 19. Sosa E., Scanavacca M., d’Avila A. et al. Nonsurgical transthoracic epicardial catheter ablation to treat recurrent ventricular tachycardia occurring late after myocardial infarction // J. Am. Coll. Cardiol. - 2000. - Vol. 35. - P. 1442-1449. 20. Sarkozy A., Tokuda M., Tedrow U.B. et al. Epicardial ablation of ventricular tachycardia in ischemic heart disease // Circ. Arrhythm. Electrophysiol. - 2013. - Vol. 6. - P. 1115-1122. 21. Della Bella P., Brugada J., Zeppenfeld K. et al. Epicardial ablation for ventricular tachycardia: a European multicenter study // Circ. Arrhythm. Electrophysiol. - 2011. - Vol. 4. - P. 653-659. 22. Polin G.M., Haqqani H., Tzou W. et al. Endocardial unipolar voltage mapping to identify epicardial substrate in arrhythmogenic right ventricular cardiomyopathy/dysplasia // Heart Rhythm. - 2011. - Vol. 8. - P. 76-83. 23. Hutchinson M.D., Gerstenfeld E.P., Desjardins B. et al. Endocardial unipolar voltage mapping to detect epicardial ventricular tachycardia substrate in patients with nonischemic left ventricular cardiomyopathy // Circ. Arrhythm. Electrophysiol. - 2011. - Vol. 4. - P. 49-55. 24. Bala R., Ren J.F., Hutchinson M.D. et al. Assessing epicardial substrate using intracardiac echocardiography during VT ablation // Circ. Arrhythm. Electrophysiol. - 2011. - Vol. 4. -P. 667-673. 25. Peichl P., Cihak R., Kozeluhova M. et al. Catheter ablation of arrhythmic storm triggered by monomorphic ectopic beats in patients with coronary artery disease // J. Interv. Card. Electrophysiol. - 2010. - Vol. 27. - P. 51-59. 26. Szumowski L., Sanders P., Walczak F. et al. Mapping and ablation of polymorphic ventricular tachycardia after myocardial infarction // J. Am. Coll. Cardiol. - 2004. - Vol. 44. - P. 1700-1706. 27. Feld G., Wharton M., Plumb V. et al. Radiofrequency catheter ablation of type 1 atrial flutter using large- tip 8- or 10-mm electrode catheters and a high-output radiofre- quency energy generator: results of a multicenter safety and efficacy study // J. Am. Coll. Cardiol. - 2004. - Vol. 43. - P. 1466-1472. 28. 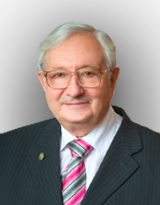 McRury I.D., Panescu D., Mitchell M.A. et al. Nonuniform heating during radiofrequency catheter ablation with long electrodes: monitoring the edge effect // Circulation. - 1997. - Vol. 96. -P. 4057-4064. 29. Lewalter T., Bitzen A., Wurtz S. et al. Gold-tip electrodes - a new “deep lesion” technology for catheter ablation? In vitro comparison of a gold alloy versus platinum- iridium tip electrode ablation catheter // J. Cardiovasc. Electrophysiol. - 2005. -Vol. 16. - P. 770-772. 30. Wittkampf F.H., Nakagawa H. RF catheter ablation: Lessons on lesions // Pacing Clin. Electrophysiol. - 2006. - Vol. 29. -P. 1285-1297. 31. Sapp J.L., Beeckler C., Pike R. et al. Initial human feasibility of infusion needle catheter ablation for refractory ventricular tachycardia // Circulation. - 2013. - Vol. 128. - P. 2289-2295. 32. Koruth J.S., Dukkipati S., Miller M.A. et al. Bipolar irrigated radiofrequency ablation: a therapeutic option for refractory intramural atrial and ventricular tachycardia circuits // Heart Rhythm. - 2012. - Vol. 9. - P. 1932-1941. 33. Gizurarson S., Spears D., Sivagangabalan G. et al. Bipolar ablation for deep intra-myocardial circuits: human ex vivo development and in vivo experience // Europace. - 2014. - Vol. 16. - P. 1684 1688. 34. Yokoyama K., Nakagawa H., Shah D.C. et al. Novel contact force sensor incorporated in irrigated radiofrequency ablation catheter predicts lesion size and incidence of steam pop and thrombus // Circ. Arrhythmia Electrophysiol. - 2008. - Vol. 1. - P. 354-362. 35. Shah D.C., Lambert H., Nakagawa H. et al. Area under the realtime contact force curve (force-time integral) predicts radiofrequency lesion size in an in vitro contractile model // J. Cardiovasc. Electrophysiol. - 2010. - Vol. 21. - P. 1038-1043. 36. Di Biase L., Natale A., Barrett C. et al. Relationship between catheter forces, lesion characteristics, “popping,” and char formation: experience with robotic navigation system // J. Cardiovasc. Electrophysiol. - 2009. - Vol. 20. - P. 436-440. 37. Nakagawa H., Kautzner J. et al. Locations of high contact force during left atrial mapping in atrial fibrillation patients: electrogram amplitude and impedance are poor predictors of electrode-tissue contact force for ablation of atrial fibrillation // Circ. Arrhythm. Electrophysiol. - 2013. - Vol. 6. - P. 746-753.